Read on for a rundown of all the events we have coming up in April 2019 at the Irish Film Institute! The IFI & One City One Book present a trilogy of films directed by Desmond Davis with screenplays by Edna O’Brien. The Country Girls – April 3rd, Girl with Green Eyes – April 10th, I Was Happy Here – April 17th. A riveting Russian drama about a young orphan called Denis who has a rare immunity to pain. When his mother reappears to claim him, Denis finds a new life as a ‘Jumpman’ – someone who dives in front of cars to blackmail the drivers. The IFI with filmmaker Dónal Foreman presents Northern Ireland – Our Battle of Images, a season of rarely-seen alternative perspectives on the Troubles. Featuring films from France, the United States, England, and Switzerland, the films provide a fascinating alternative look at how the conflict was viewed beyond this island. This profile of 80-year-old feminist activist Máirín de Búrca takes us from her childhood in Chicago, to her membership of Sinn Féin, to her role as a founder of the Irish Women’s Liberation Movement. The screening will be followed by a Q&A with director Cathal Black and Máirín de Búrca. A disarmingly warm-hearted revisionist western, The Sisters Brothers is a successful English language debut for French director Jacques Audiard (A Prophet) starring John C. Reilly and Joaquin Phoenix. Presented with Open Captions for the hearing impaired. For its third edition this April, the East Asia Film Festival Ireland (EAFFI) celebrates the diversity, artistry, and variety of filmmaking from East and South East Asia over four days from April 11-14th. The festival features established and award-winning filmmakers such as Hong Sang-Soo, Ying Liang, Zhang Ming and Ryusuke Hamaguchi. The festival also celebrates exciting new talent including Bi Gan, and first features from Lina Wang and Phuttiphong Aroonpheng. Blessed with a powerful performance from multi-talented and Kerry-born Buckley, Wild Rose is at times a familiar but ultimately empathetic tale about a young woman torn between her reality and following her dreams. Presented with Open Captions for the hearing impaired. Notoriously banned in Ireland on its initial release, Life of Brian returns to celebrate the 40th anniversary of the comedy triumph. The Monty Python crew are all present and in fine form, and it all goes out with a sing song. Ticketholders will receive a special 40th anniversary gift pack. The ultimate surprise film with no clues and it could be anything from the entire history of cinema. Take a chance on a Sunday, you never know what you’ll find when the lights go down! Isabelle Huppert gives a superbly baroque performance in Neil Jordan’s delightfully lurid thriller that wastes no opportunity to drop a knowing wink to the audience, also starring Chloë Grace Moretz. Presented with Open Captions for the hearing impaired. 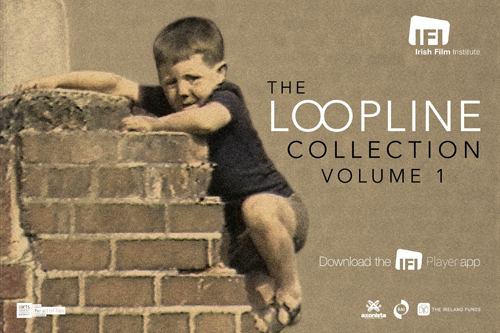 To coincide with the release of the first volume of the Loopline Collection to the IFI Player, the IFI is delighted to welcome filmmaker Sé Merry Doyle for a wide-ranging public interview, hosted by film archivist Eugene Finn. From the director of the award-winning Winter’s Bone comes this gritty and spare, but emotive, drama adapted from Peter Rock’s novel. It follows a father and daughter who are forced to reintegrate with society and struggle to find their place. Wild Strawberries is our film club for over 55s. Tickets: €4.45 including regular tea/coffee before the event. Nora Ephron reteamed with director Mike Nichols for this underrated drama starring Meryl Streep and Jack Nicholson about a pregnant food writer’s embattled marriage to a journalist. This screening will be introduced by Emilie Pine, academic and author of Notes To Self. 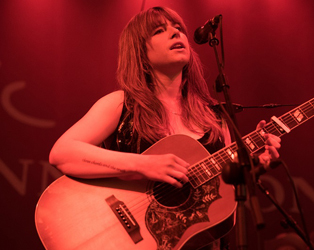 Featuring a star-making performance for Kerry actress Jessie Buckley as a down on her luck Glasgow songstress, Wild Rose is our Feast Your Eyes pick for April. Get your movie ticket and a special main course for just €20. Dishes on the night include a choice of Bangers and Mash, Vegetarian Haggis, and Panfried Salmon with Turnip and Potato Mash, served with chive butter. Finding Your Feet is a real crowd-pleaser, with plenty of laughs, great performances and lots of joyous stepping out, starring Imelda Staunton and Celia Imrie. Wild Strawberries is our film club for over 55s. Tickets: €4.45 including regular tea/coffee before the event. New Irish film The Dig opens on April 26th, and the 18.30 screening will be followed by a Q&A with directors Andy Tohill and Ryan Tohill, producer Brian Falconer, and actor Moe Dunford. Wolfgang Fischer’s second film is a stark, lean morality play that examines the overwhelming immigration crisis in microcosm, challenging audiences to question their assumptions of how they might behave in such circumstances. Join us for an information chat about the film.